Although my daughter is little right now who can’t speak much, but it’s never too early to start. In a mixed race family, I am determined to teach her at least 4 languages (not sure how practical that goal is, but hoping for the best in shaa Allah). Arabic is definitely one of our top priority! I’m not an Arabic expert of course – but as a student of Arabic language for almost 7 years myself and teaching kids of different ages – Qur’an and Arabic, I’ve learned a few tips and tricks that helped me get hold of this beautiful language alhamdulillah. To love something deeply, you need to know the reason – why do you love it? Ask yourself – Why are you learning Arabic? Is it to understand Qur’an more deeply? Is it to remove the barriers of translation between you and Allah’s divine words? Whatever it is, have that achievement in mind and work towards it. It will help you stay patient in the long run as well in shaa Allah. If you love it and you have a reason to love it, you will try your best to learn it and speak it in shaa Allah. You will try your best to speak it as much as possible. No matter how broken the words are. You’ll fumble your words through! You can buy any Arabic-talking doll (without music) for your child (and it would be a bonus if a doll teaches Islamic manners and principles (in Arabic). My daughter is obsessed with her “baby” Amina. We take her along everywhere we go and there’s unconscious da’wah going on amidst the crowd (as we live in the Middle East where there’s majority of Arabic speaking people), as her doll recites the Qur’an and teaches Tawheed etc. If you know Arabic yourself, then you can use puppets or turn your child’s favorite plush toy into a puppet that talks in Arabic. 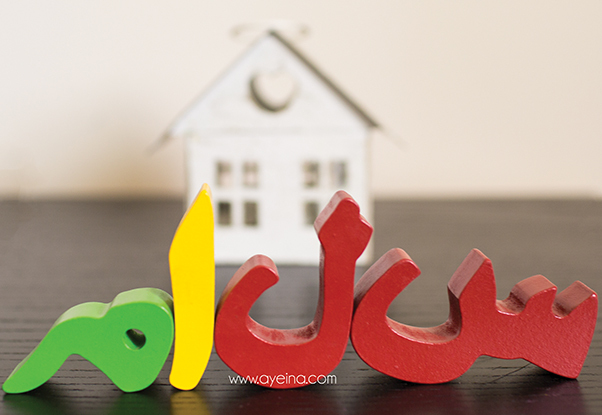 From duas to alphabets, vocabulary to quotes – you can put up anything you like in Arabic on your walls. Please make sure that the Arabic is readable and not fancy calligraphy simply for decor purposes (unless you simply want decor). 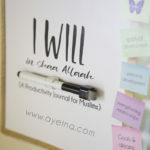 I’ve personally put up a few printables here and there in the home so she’s constantly bombarded with Arabic. These Arabic alphabets have been her new obsession lately. Since I get to teach her colors through them as well. You can also Download them here for free by applying the code received on email. 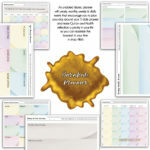 The printable is exclusive for our email subscribers as part of our monthly freebie bundle. 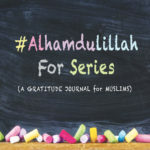 If you haven’t subscribed yet, you can do so to receive a code through email in shaa Allah. Invent games, buy them or steal them off of Pinterest because PLAY is the new school! Flash cards, coloring pages, puzzles, trivia/quizzes, role play, playdough, magnets, Arabic learning apps etc. – All can serve as an effective way of learning. You can get different Arabic games from Mini Mulsim Playground. We love Alif baa app that teaches Arabic alphabets along with their respective animals. They were kind enough to offer free coloring pages for y’all. So download them here and get your kids coloring. If your child is at a speaking age and doesn’t know Arabic, then you can read to them any book they love, by replacing some words with Arabic words to introduce new vocabulary without much effort. Here’s a list of Arabic dictionaries for kids by “A Crafty Arab”. Here’s one of the FREE resource – Picture Vocabulary (in Arabic). If your child is small, you can even read your own Arabic books to them (I’m guilty of that 🙈). As I’m an Arabic student myself, I sometimes read my own books to her instead of the baby books. Sometimes I try to read the books I don’t even understand, to push my language skills forward as well. She listens intently anyway so we both are happy in the end alhamdulillah. Now, this isn’t recommended for small kids as screen-exposure isn’t ideal for them. But we formed an extensively researched list of music-free content for my niece as it is extremely difficult to find, so hopefully this can help those who are looking for halal alternatives in Arabic. We formed a Pinterest board (Arabic Cartoons for Kids (Without Music)) for it (which we will keep updating in shaa Allah) instead of a YouTube playlist because YouTube keeps showing irrelevant ads in between and weird suggestions around. Sometimes, totally inappropriate. Follow ayeina_official (P.S. For an English list of halal-entertainment, you can refer to THIS POST). WARNING: They will be on your mind all day long :/ You’ll be alif-baa-ing while cooking and cleaning as well. Proceed at your own risk! Make use of worksheets for beginners. Worksheets that help fine motor skills through pencil manipulation etc. There are many websites offering worksheets for beginners (Pinned in our Pinterest Board: Arabic Learning for non-natives). Many are free and for some, you can pay a one-time, monthly or a yearly fee. 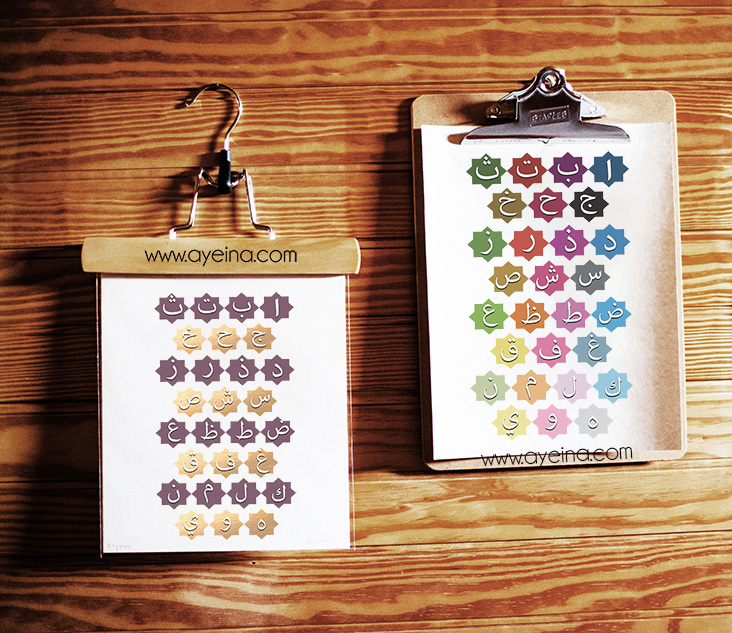 You can buy some stickers and put a star on each sheet your child completes. Try to find books with good illustrations. Look at the pictures with your child, point to things they already know in Arabic. As you come across new words, ask the child what they think it is. If it is illustrated, have them point it out on the page. Use different voices for different characters. If your child has a favorite Arabic story, then encourage him/her to play different characters making up the words from memory. Help your child to use his/her imagination to change the story or change the ending. 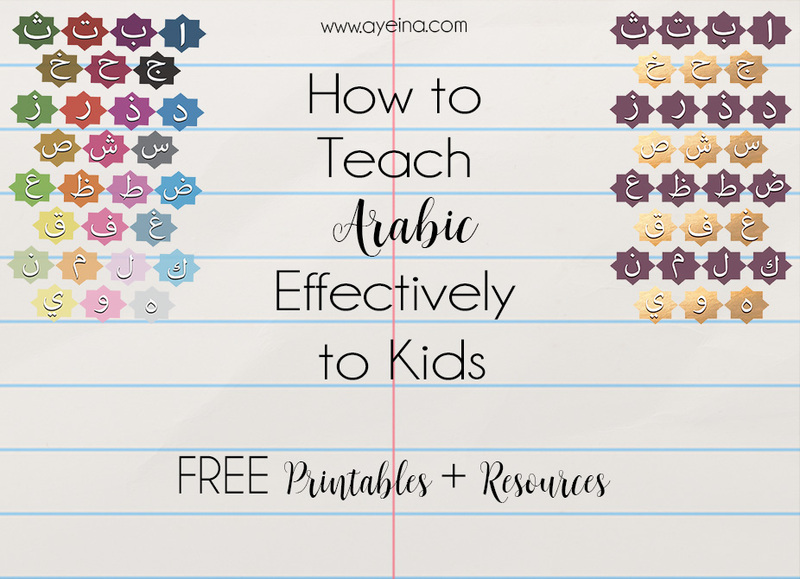 If you don’t know Arabic, then surrounding yourself and your child with Arabic (native) speakers is the closest you can get to fluency. It would be more beneficial if the one you’re talking to, doesn’t know your language so you’re forced to use whatever Arabic you know (as funny as it may sound). I know that the time I ACTUALLY started to speak a little Arabic was when I did a small Arabic course in Saudi Arabia and the teachers won’t let us say a word in any other language. Not even a question. So we’d mix our words with a lot of gestures and look quite funny as a result BUT we learned to at least speak SOMETHING by the end of that course. We weren’t experts but that was probably the most effective way of learning it. You have to speak a language to learn a language. Reading will let you understand it. Studying it will help you write it as well. But if you want to speak it, then there’s no other way round. You just have to speak it! With kids, the greatest advantage is – no matter how broken and funny your language sounds, they don’t care. They won’t judge you. So speak to them all that you can. Don’t fear that they’ll learn the wrong Arabic. The idea is to expose them to that language as much as you can and you are the best path to that learning. They’ll at least learn bits and pieces from you before they can fully grasp onto the language at whole in shaa Allah. Don’t have a native speaker nearby? Take advantage of globe-shrinking technology and get a teacher via Skype or any online platform. 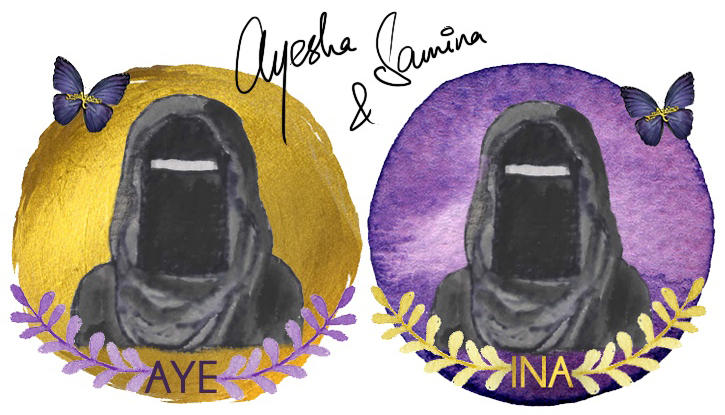 Bayyinah’s “Arabic with Husna“ is amazing for children (even for adults actually). For FREE reliable courses on Arabic, you can check out Islamic Online University (I’m doing their Intensive Arabic Program – which is a paid course) or Arabically (they’ll be starting online Arabic Grammar classes for ladies from next week). Remember the commercial, where a grandpa labels everything in English with sticky notes to be able to learn a language that his granddaughter spoke? Yepp, label things! Because constant exposure to a word will embed it in your memory. Probably don’t go as dramatic as the grandpa from the commercial 😀 (you probably don’t even know what I’m talking about). The point is, labeling helps you associate. It will help kids connect spoken and written words in shaa Allah. Just like writing a word, having something visual to connect to can help the brain hold onto and place the word. A word with an original picture in their mind. You can make a chart with words of a day where you can practice two to three words all day long with your child, using them in different sentences/formations etc. If you have more tips to share, please do so in the comments section below so everyone can benefit. You know how i love you right? Allaahumma what a great piece! Such practical advice and tips. I will definitely be sharing and using them. Look forward to reading part 2 in shaa Allaah! My mom is an Arabic Teacher. So from childhood onwards the words we heard were from the Quran. It truly fostered my.love for the language. As an advocate of children learning 2+ languages from childhood I really hope you get there. There’s nothing like a super early start for learning languages masha Allah. And I’m all for FUN learning – its great for engaging young minds – whether its through books, printables, colouring sheets, playdough, sand tracing etc. The ideas are endless but the rule remains the same ~ MAKE IT FUN. Indeed. Children learn best through play and engagement. So as long as that’s happening,anything can become educational. That’s very kind of you ❤ Jazakillah khair.